If you have a little more money to play with, and then utilize the lowest bet (1), the middle bet (3), and the max bet (5). Alternate between these three bets only. There is a little more risk financially, but there could be greater reward. Again, make sure you stick to looking for the most probable win for each hand. 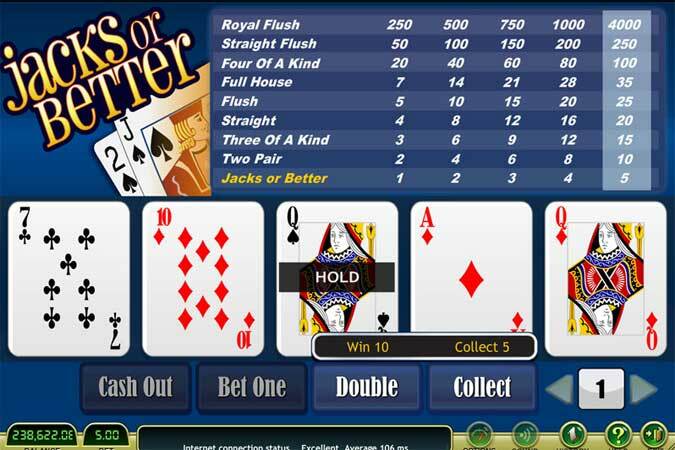 The final option is to stick with the middle bet on every spin, but only play 25-50 hands. 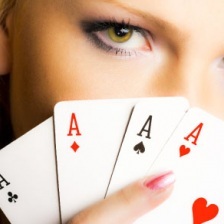 Keep in mind; you have to decide how many hands you will play, before you place your first ante. So, if you choose to play 35 spins at the middle bet, then you have to leave the online video poker (or the machine at a brick and mortar) after those 35 spins have been completed. Never chase your money, because 95 times out of a 100 you will only lose more money. Another safe way to keep your bankroll intact is to set a spin limit no matter how you alternate bets. My goal is to make sure you have the best odds of winning when you sit down, and your goal is to grow your bankroll, no matter how long it takes.